Below is a list of the 10 best songs for young musicians to play on the acoustic guitar or the piano (in no particular order). 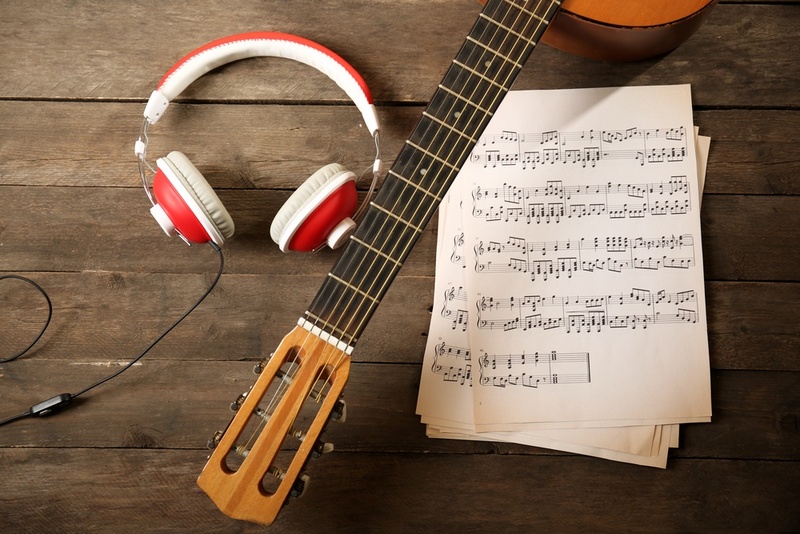 Your child will need to know chords and how to read music to be able to play these songs, but once they know that, these songs will be great for their practice time. There is a small chord change melody within Tom Petty’s “Free Fallin’” that can be a little tricky to get the hang of, but apart from that, this song is an basic one for young musicians to learn. You’ve most likely heard of this song. It’s one of the most well-known songs in history, “Knockin’ on Heaven’s Door” by Bob Dylan, but it uses just basic chords, which makes it easy to learn and fun to play. Originally written by Stephen Stills, “For What It’s Worth” was recorded by Buffalo Springfield in December of 1966. It’s a great song for beginner guitarists. Not only is this song simple to play, it’s quite catchy, as well. You just need to know how to play three chords. While Pink Floyd’s songs are typically highly technical and complicated to learn, this is one exception. “Wish You Were Here” is an easy song for beginners. “Three Little Birds” by Bob Marley was originally recorded in 1977 and released in 1980. A Roots reggae song, this Bob Marley song is a great one to try on the guitar. Get your kids familiar with The Beatles at a young age! “Love Me Do” is a Beatles song that is easy to play, with just three chords to learn. A catchy tune that’s straightforward to learn and play. This song sounds great on the acoustic guitar. Using similar chords to “Knockin’ on Heaven’s Door,” and about as well-known, “Leaving on a Jet Plane” is a good song to learn on the acoustic guitar. A “Horse with No Name” was written by Dewey Bunnell and originally recorded by the band America. This song was released in Europe and the U.S. in the early 1970s. This is an easy song to play for beginners. Sometimes the greatest motivation for practice is playing songs you’re familiar with. Below is a list of some classic and more recent songs your child should recognize and find simple to play on the piano . Finished in 1801, the Moonlight Sonata is a classic piano sonata by Ludwig van Beethoven. Young musicians can impress their friends with this piece of music that’s easy to learn on piano. Another classic piece to learn to play on piano is Beethoven’s “Fur Elise.” Beethoven wrote this piece in 1810, but it was not published until 1867 long after the composer’s death. A fun, uplifting piece to play, “King William’s March” was composed by Jeremiah Clarke following the Glorious Revolution in 1688. A classic piano piece published in 1902, this rag time song is a fun and basic piece of music for young musicians to learn and play. One of the most well-known piano arrangements in this list, “Clair de lune” was composed by Claude Debussy in 1890 and revised right before its publication in 1905. This is the third movement to the piano suite: Suite bergamasque. A more familiar song as of late and one your kids are sure to recognize if they happened to see Disney’s latest release of Cinderella, “Lavender’s Blue” is a little fast but with some practice your child should be able to pick up this song rather quickly. This would be a fun song for the family to sing along to. Dads, get excited. Here is a simple version of the Star Wars main theme song by John Williams. Use the sheet music that is linked above and then watch your child learn to play this song with ease. An increasingly popular song recently, “Hello” by Adele is a fun song for your kids to learn. Your kids will likely want to spend some time learning this piece so they can play it for all of their friends. Another popular tune that can be heard on the radio, let your kids try out this piece of music for their practice time. Everglow is an easy, yet fun, song for kids to play on the piano as they’re trying to improve their skills. 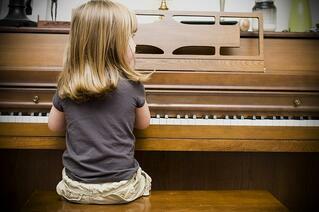 Is your child still having trouble with music? For additional help for your kids mastering their instruments, sign them up for our music lessons. We offer guitar lessons, drum lessons, piano lessons and voice lessons at each of our Creative Soul locations. Which song does your child enjoy playing the most?